Non-coders hate simple text editors. When they encounter such files, they don’t understand the point of the entirely unutilized text. Coders know better. 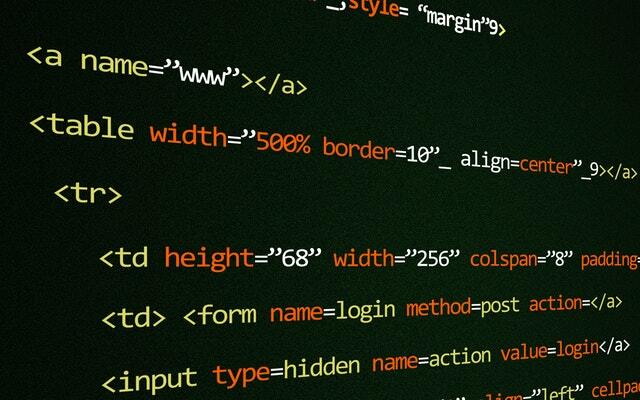 A simple text editor is an essential tool when writing code or creating a website. When it’s good, it helps you work faster and more efficiently. All simple editors are simple, but design matters even in this case. Modern web development calls for advanced features even in these tools. So it definitely takes some consideration for you to pick the best one for your needs. Let’s compare the three most popular simple editors: Sublime Text, Webstorm, and Notepad++. We’ll compare the similarities and differences, so it will be easy for you to make a decision. That brings us to the main reason why coders like Sublime Text: speed. Let’s go through specific pros and cons, so we can compare this text editor to the other ones. It’s faster when compared to Webstorm and Notepad++. The user interface is pretty sleek and useful. It has a mini-map on the side, so you can get a top-down view of the keyboard and file shortcuts. It has an auto complete feature. The trial does not deprive you from any features. The updates tend to be non-existent for a long period of time. Sublime Text 3.1 was finally released in May 2018. Before that, the users faced a long period with zero updates. That stagnation caused many users to move onto other text editors. Coders mostly like WebStorm because of its Live Edit feature. It gives you a Google Chrome page view as you’re editing. Whenever you change the code, the page’s appearance in Chrome will change. That’s a lovely feature to have. So how does this text editor compare to the others? It has an Error Markup feature. BiDi text direction feature is available. Frequent updates make the tool useful on the long run. It’s expensive ($129 for the first year of use). The price gets lower if you continue using it. It’s not as fast and as easy to use as Sublime Text. Notepad++ is a standard tool for coders. Whether you’re developing websites for cheap essay writing services, e-commerce sites or online yoga studios, it will do the trick. Why is it so popular? First of all, it’s easy to use. It supports autocomplete in many languages. Plus, it’s free. It’s free, but it does its job pretty well. It supports a multi-language coding environment. Zoom-in and zoom-out feature available. BiDi available (this feature gives Notepad++ an advantage over Sublime Text). Collaborative editing available via plug-in. It’s only available for Windows, so it’s not an option for macOS and Linux users. Not as rich in features as WebStorm and Sublime Text. Not as fast as Sublime Text. So What’s the Best Simple Text Editor to Use? It depends on what you’re looking for. If you need a free tool that covers all basic needs for coding, then Notepad++ is the definite choice. If you’re willing to invest a bit in this type of tool, so you’ll get greater speed and more features, then Sublime Text is a great option for you. WebStorm is somewhere in between these two choices. It’s the most expensive tool, but it’s attractive with its live edit view.